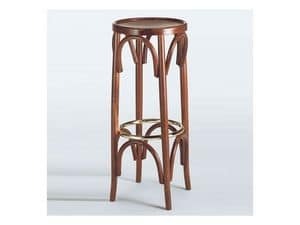 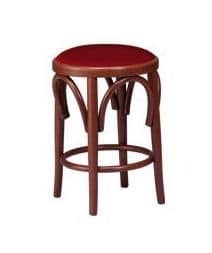 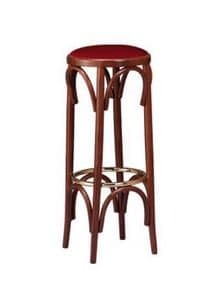 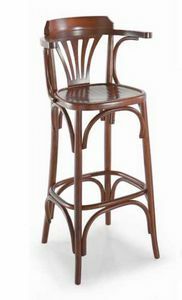 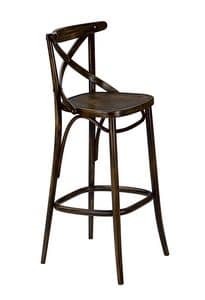 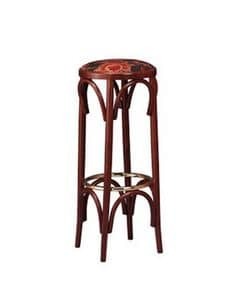 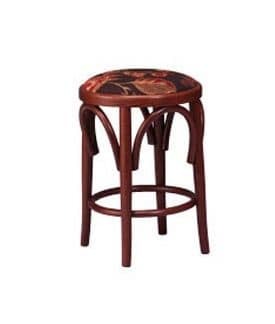 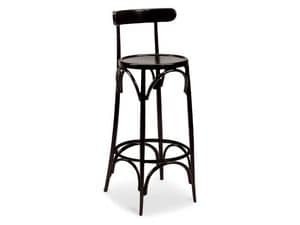 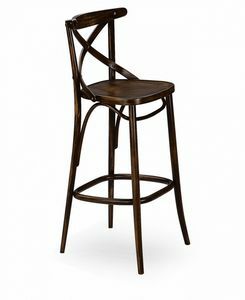 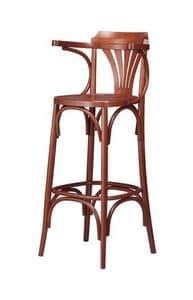 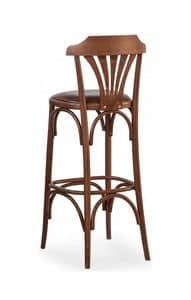 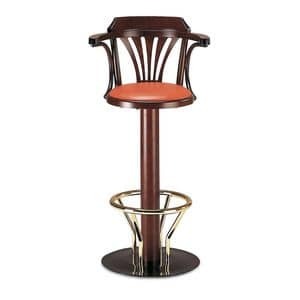 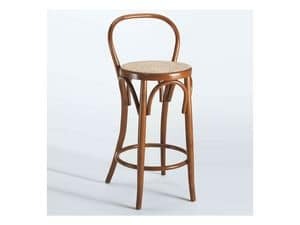 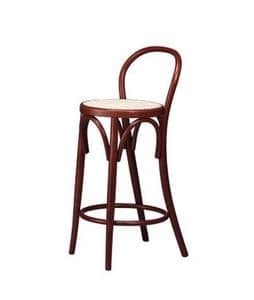 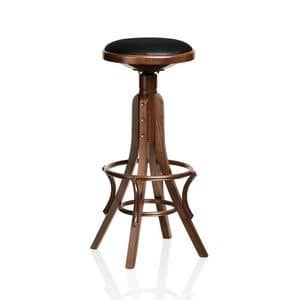 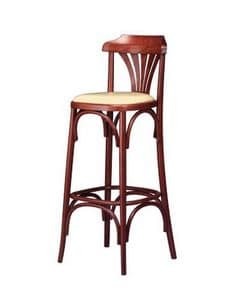 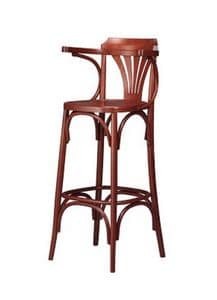 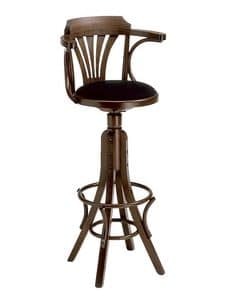 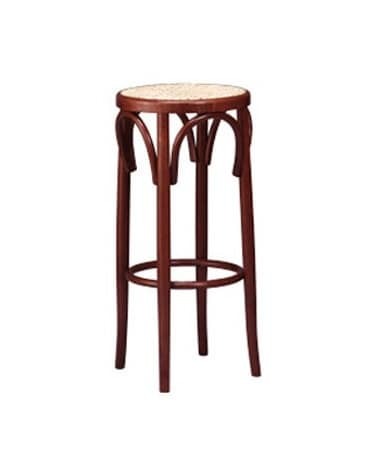 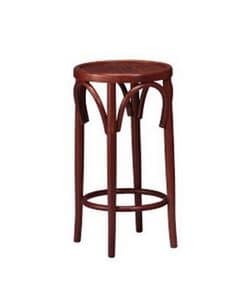 Roundend pub stool in curved wood. 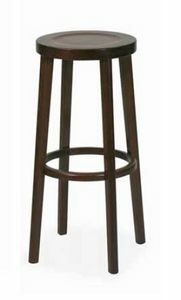 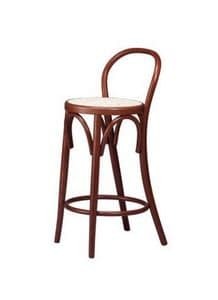 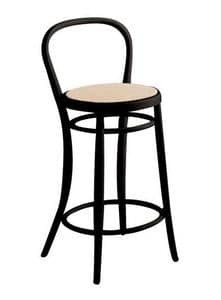 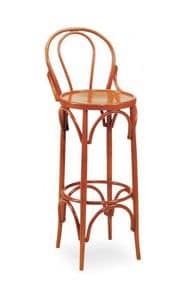 Stool with cane seat and beech wood frame and ring. 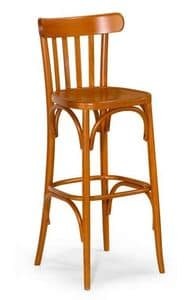 Also available with wooden or upholstered seat.